Now thoroughly revised and updated, this classic account of life on the Texas-Mexico border reveals how the borderlands have been transformed by NAFTA, population growth and immigration crises, and increased drug violence. 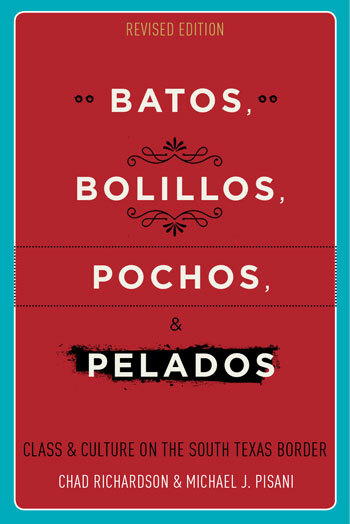 A classic account of life on the Texas-Mexico border, Batos, Bolillos, Pochos, and Pelados offers the fullest portrait currently available of the people of the South Texas/Northern Mexico borderlands. First published in 1999, the book is now extensively revised and updated throughout to cover developments since 2000, including undocumented immigration, the drug wars, race relations, growing social inequality, and the socioeconomic gap between Latinos and the rest of American society—issues of vital and continuing national importance. An outgrowth of the Borderlife Research Project conducted at the University of Texas Rio Grande Valley, Batos, Bolillos, Pochos, and Pelados uses the voices of several hundred Valley residents, collected by embedded student researchers and backed by the findings of sociological surveys, to describe the lives of migrant farmworkers, colonia residents, undocumented domestic servants, maquiladora workers, and Mexican street children. Likewise, it explores social, racial, and ethnic relations in South Texas among groups such as Latinos, Mexican immigrants, wealthy Mexican visitors, Anglo residents or tourists, and Asian and African American residents of South Texas. With this firsthand material and an explanatory focus that utilizes and applies social-science theoretical concepts, the book thoroughly addresses the future composition and integration of Latinos into the society and culture of the United States. Richardson is professor emeritus of sociology at the University of Texas Rio Grande Valley. His previous books include On the Edge of the Law: Culture, Labor, and Deviance on the South Texas Border, coauthored with Rosalva Resendiz. Pisani is a professor of international business at Central Michigan University. He coauthored The Informal and Underground Economy of the South Texas Border with Chad Richardson.